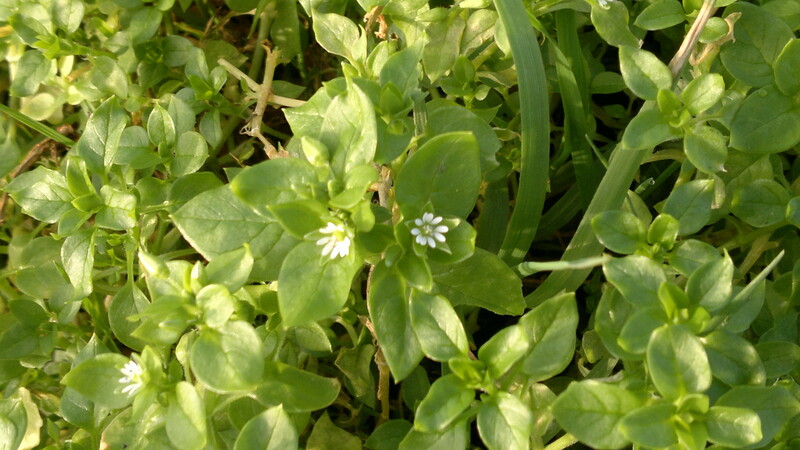 Identification – 4/5 – Look for its small, white, star-like flowers made up of 5 deeply notched petals. If in doubt, close inspection will reveal a single line of hairs running down one side of the stem only. Edibility – 3/5 – This common “weed” is actually a delight to eat. 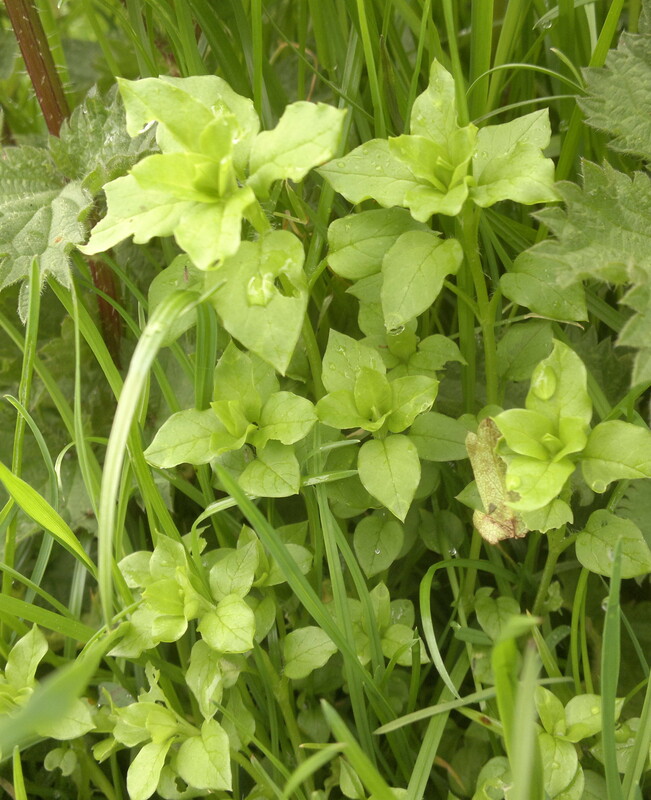 It has a mild, fresh, “grassy” flavour with no bitterness, making it an excellent bulker in wild salads – where mild flavours are needed to balance more pungent flavours. It cooks down well – like spinach, but try to harvest only the lush, leafy tops or it can tend towards stringyness. Habitat – In grass and beds in parks and gardens; waste ground, cracks in pavement; and especially under trees in fields. 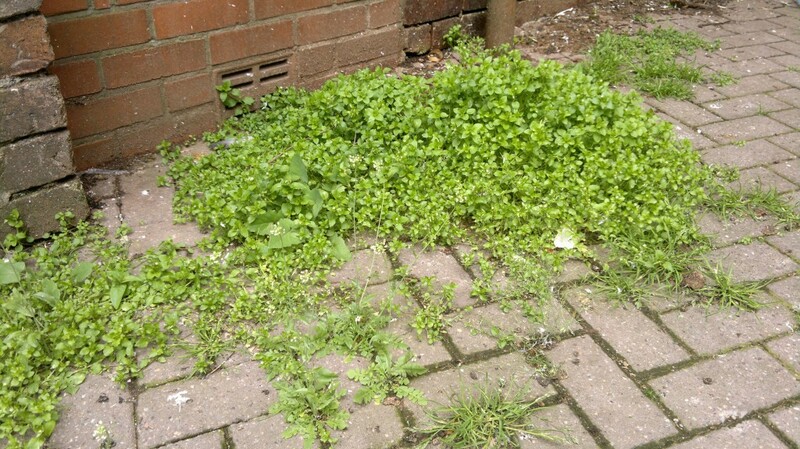 Chickweed is also common in urban environments – be aware of pollution!